Genesis is the most attacked book of the Bible. As soon as kids hit elementary school, they begin hearing that evolution, not God, created the universe. For most kids, this is the first issue where people they typically trust (teachers, neighbors, friends) believe something fundamentally VERY different than what they have been taught at home. And this is hard for kids. It's HARD for kids to wrap their minds around the fact that their teacher, their school, the scientist on TV, the museum could be wrong. If kids hear that "creation is a myth" from enough of these "trusted adults", their entire framework of faith gets shaken, the Bible becomes a story not truth, and God a character instead of creator. We need to give kids evidence & confidence in Biblical Creation in order for them to feel comfortable answering the attacks of skeptics. Kids have questions, and curiosity, and we shouldn't expect them to believe something just because "we said so". We need to present them with Biblical Creation EVIDENCE, so they know deep down in their hearts that the Bible is Truth, that God is their Creator, and that the skeptics are wrong. In this lesson pack, children are exposed to the true account of creation found in Genesis 1. Using our interactive lessons, games, crafts, & worksheets you will have everything you need to prove creation's truth. Why Did God Create the Heavens & Earth? Each can be taught in 10 to 15 minutes. These lessons contain a fresh, creative approach to looking at creation & will grab kids’ attention. By using common household objects as teaching tools (such as a play-doh) kids will easily grasp that God is their real creator. Equip parents with answers to 6 of the most common questions kids ask when learning about creation. Print out as many copies of this handout as you need for the parents at your church. We need creation confident parents to raise creation confident kids! Our games are designed to target the 3 main learning styles, so all kids can learn the material. We like to let kids get up and PLAY so that they learn material while they are immersed in a fun game. Help keep younger children engaged in the lesson with our Creation coloring sheets. Use as a warm up or wind down activity or give some to kids to take home. Print as many as you need. In short, you get everything you need to teach kids about creation. 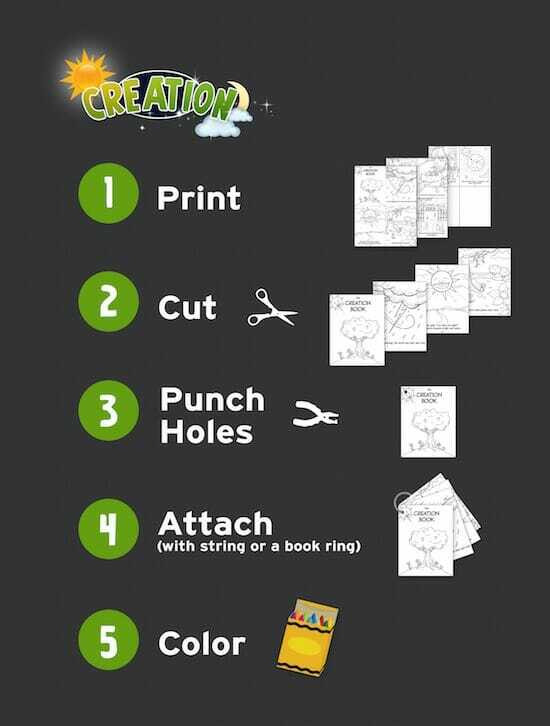 Help kids of all ages learn about creation with our printable flip book! Four pages print onto one 8 1/2 x 11 piece of paper or card stock. Just print, color, cut, punch holes and then attach with a book ring or string. Create the flip books as a craft during your lesson. Have the kids cut out each page, color, punch holes, and tie up their mini-book as a study guide to use throughout the week. Use our printable 8.5 X 11 certificate to award students upon completion of the Creation Lessons. Print Out As Many Certificates & Flip Books as You Need! 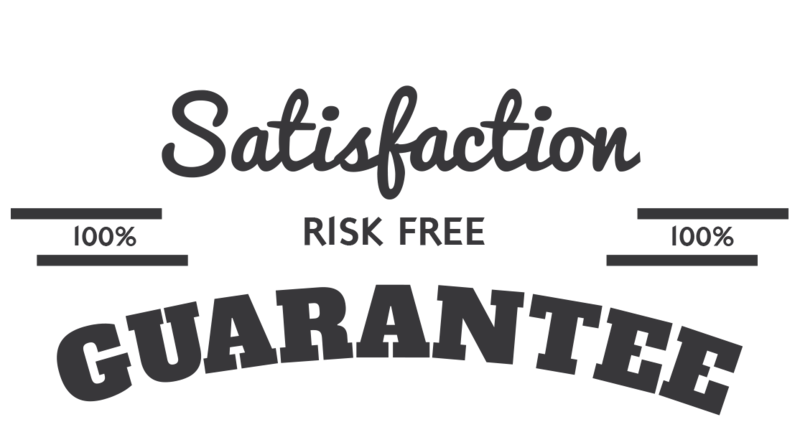 That’s right, we are so sure that you will love the Creation Lesson Pack that we are offering an unconditional 100% money-back guarantee. Kids will come in contact with skeptics. They will come in contact with people on the playground, on TV, at school, and in their community that do not believe in creation. There is no better way to prepare kids to face "Creation Skeptics" than my arming them with the facts, the truth, and the hope that is found in the Bible. If kids are confident in the truth of creation, they will have a true foundation on which to build & defend their faith. YES, I want in! 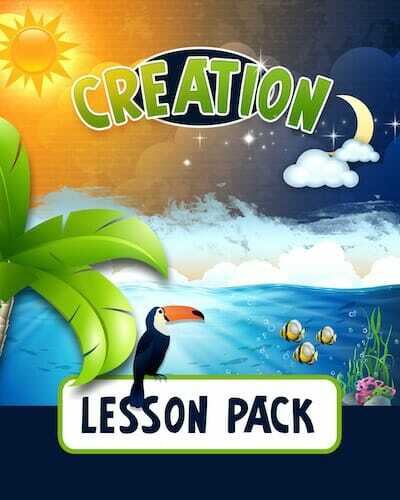 I want access to the "Creation Lesson Pack". Please give me INSTANT access right now!